The internet has made it a small world, but ironically, we now see what a big world it really is: There is so much information, so many modes of thought, and so many valuable skills. We have all heard teachers and thought leaders extol critical thinking and problem-solving, but such skills seem abstract and not really to-the-point as we go through life in our little worlds. For one thing, such skills are usually regarded as part of math and science, and so those interested in the expressive arts may ignore talk of problem-solving. Also, people in technical fields may be quick to assume that they already know how to think, and so they do not need to worry about honing their process. In reality, all of us are constantly trying to solve problems – professional, academic, or personal. There also might be many problems you are not working on because you assume they are unsolvable. Critical thinking can keep you from floundering as you face a problem. Logic is a massive subcategory of philosophy (philosophy is the study of learning itself); this might make logic seem highly academic at first glance. However, what this really tells us is that logic is a part of every area of learning. Critical thinking is essentially the application of logic – in-depth, systematic, and unbiased thinking; the goal of critical thinking is to find objective truths or to pinpoint and eliminate previously accepted falsehoods. Critical thinking can be based on previously successful thought systems, or it can be pursued more inventively. Critical thinking is absolutely necessary to problem-solving. The only determinations you can make without critical thinking are those that are habitual or gut reaction. If you want to break out of a rut or take a more intelligent approach, then try to learn and apply new thought methods. Ultimately, critical thinking still might sound highly academic. After all, realistic decisions are based on concrete observations and data. For most of us, someone else has come up with the rules or written the computer program used to process data, and facts are facts – it seems that reality just is what it is. This is all true; however, unnoticed bias can impact which facts or analyses you pay attention to. For one thing, most of us have a tendency to look at the obvious first, and we may view people who dive in looking for hidden problems as unfocused, or even as undermining what we are trying to do. However, a planned-out approach to thinking past the obvious is the very definition of critical thinking. Problem-solving is such a general term that it could refer to a number of things – fixing a snag, making a plan to reach a goal, or literally solving some sort of mathematical or logical problem. For most of us – who exist outside of academia – fixing a snag or reaching a goal is what we are trying to do. To fix something, you have to look past the obvious and find what the real problem is. To reach a goal, you have to develop a plan that takes into account the people, resources, cause-and-effect relationships, and time constraints involved. Problem solvers must use critical thinking. Good problem solvers could be thought of as having focused and directed open-mindedness. Critical thinking and problem-solving activities look different in different academic or professional fields. Most people find it helpful to learn specific problem-solving techniques applied to their particular area of interest – this is especially true if critical thinking does not come naturally to you. However, understand that even the best thinkers need some ideas every now and then, and even the most innovative people get their start by emulating others. An excellent source of practical problem-solving insight is LinkedIn Learning, the online learning center of the LinkedIn website. LinkedIn Learning offers an extensive list of online courses, all of which cover highly practical topics and skills. There are 3 main categories: business, creative, and technology. While you might see yourself as fitting only one of these categories, it is likely worth your while to peruse the courses in the other two categories – you might be surprised what you find and how interrelated the courses in each category are. The courses, which range from general and beginner to advanced, can be purchased individually or for a business. The site offers some of its general courses completely free; general courses cover topics – such as time management, career development, or interview preparation – that are relevant to almost anyone in any career or industry. Not only are the free courses the best way to start your personal online education program but they are also a chance to assess whether LinkedIn Learning is right for you. To work on general critical thinking skills, the best course to start with is Critical Thinking – a general-level course taught by Mike Figliuolo, who has an extensive resume of writing, blogging, and speaking on the topics of leadership, project planning, and problem-solving. The course starts by defining critical thinking as an independent, in-depth questioning of the self and moves on to cover the big ideas of critical thinking as applied to business. Whether you are fixing a glitch or planning to achieve something, a critical first step is to properly define the problem. Then, you must pin down the root issues that might impact your process. You can correct bottlenecks (i.e., snags, delays) by questioning yourself in a focused way – many times, it is just a question of asking “why?” until you have broken the problem down enough to see how to solve it. Naturally, the issue of prioritization is also addressed: Figliuolo applies the Pareto Principle (also known as the 80/20 rule), which describes how 80% of product often comes from 20% of effort; you should focus on the productive 20%, not the unproductive 80%. Figliuolo also teaches Solving Business Problems, another general-level course that more specifically applies the critical thinking techniques mentioned above to business issues. In this course, he especially emphasizes the importance of prioritization and explains how to be sure you have reached a clear conclusion after deliberation with critical thinking. The course goes into more detail about including stakeholders and co-workers in the problem-solving process; it is important to generate a clear recommendation for action that these individuals can consider and/or execute. A great course to continue with is Project Management: Solving Common Project Problems, taught by Chris Croft, a speaker and trainer in business topics. The course ranges from beginner to intermediate level. The pervasive theme throughout this course is the challenge of working with other people to achieve a certain quality within a certain amount of time and within budget. Croft addresses the fact that human beings are frequently inconsistent: special care has to be taken to get everyone on the same page; there may be considerable disagreement within what would seem to be a homogeneous group; people may not be sure what they want or they might struggle to clearly express it; and people might forget something that you thought was clearly established (agreements should be written out). The course also addresses risk management, an important part of business problem solving: risk assessment is essentially a type of prioritization – you have to assess both how serious a risk is and how likely it is to happen to get a proper sense of how much attention it deserves. To go in a more artistic direction, A Prolific Music Producer’s Workflow for Finishing Tracks teaches you how to more effectively reach a finished music product. The course is taught by music producer Evan Sutton, who has worked with members of Depeche Mode and Imagine Dragons, among others. Sutton addresses both technicalities and mental challenges together to create a holistic plan for music creation. 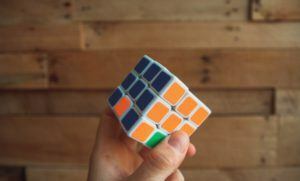 You might have noticed throughout this article that the distinction between problem-solving to fix something and problem-solving to figure something out is only vaguely addressed. 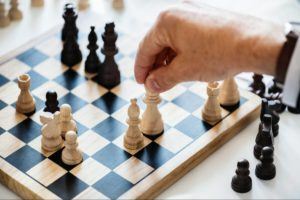 Here, the focus has been on applying critical thinking to problem-solving, and critical thinking is equally valuable in both negative and positive problem-solving situations. In fact, one could argue that the distinction between fixing something wrong and getting to something right is an imaginary one. The ambitious leader is always assessing whether something could be done better, which means, in effect, always looking for something wrong. The term critical thinking is just that: being critical of what is and looking for solutions. However, critical thinking does not mean faultfinding; in fact, finding fault is really just settling for a superficial solution, which is the opposite of critical thinking. No matter the context, critical thinking is about finding truth and using truth to solve problems. This is such an insightful and essential article for all the young people right now. I have learned and understood a lot about Critical thinking from this article today. I learned what exactly is critical thinking and how it can be used for problem solving. Thank you so much for sharing this article, it was really easy to understand the concept. Indeed, in the present world, with so much information, critical thinking and problem-solving are more important than ever, and we encounter their requirements almost everywhere. I am happy that this article helped you to understand some concepts better. The concept of critical thinking and problem solving is probably one of my favorite concepts. In fact, as an engineer I have been asked countless times in interviews and in my career what the most important thing I learned in engineering school was. My answer: Critical Thinking and Problem Solving. Thank you for outlining the importance of each and offering a detailed explanation of what each means to you and the basic philosophical definition. It seems that you have a great grasp on this. I too agree that this is a solid life enhancing idea. It has helped me through a lot of my endeavors and actually helped me to build a successful online business much like yours. Keep up the good work with these types of posts. They give me a lot of great ideas. Did you start learning about these life-enhancing ideas through your own research or have you read a few good books that contribute to your writing? I’d love to hear any recommendations you might have to help with some of the motivational ideas that you resonate with! As in every business you have to do some research before taking a decision. You know, there are all kinds of ideas, so you must be able to select the best ones. And this requires preparation. My preparation consists in reading books, taking online courses, and discussing with other well-informed people who can give me the suggestions that I need. What a great article on critical thinking with linkedin Learning. It is very important to be able to use our critical thinking skills to solve business problems, especially in an online business. There will always be problems that come up and that need to be addressed. This course could be very helpful in doing that. I like the way you walk the reader through the course and let us know a little bit of what to expect as far as subject matter. It seems that you have taken the course yourself and know a bit about it. Giving free content and information about the subject is also helpful to get the reader thinking about the subject material and leaving them wanting more. That is a very good strategy and well done by describing the author and location with the link. 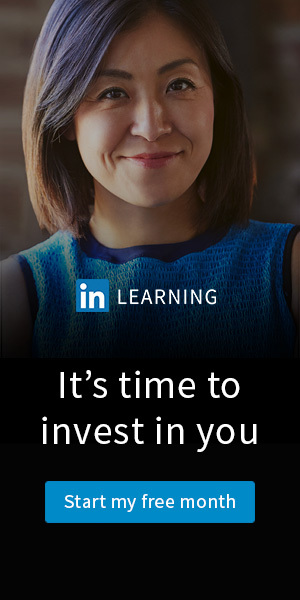 I have heard of Linkedin Learning as I am also on the platform but have not taken advantage of their courses just yet. I may look into it now, especially if it can help me with my business problems. I think we all need to seek help at some point as iron sharpens iron. It even says that in the bible. Thank you for bringing this course to my attention and I look forward to your future content. I am glad that you find this article helpful and I wish you luck with your business. Also, I am interested in your future opinions.